Stewart-Haas Racing put on a clinic for most of Sunday’s (Oct. 7) Gander Outdoors 400 at Dover International Speedway. Kevin Harvick led a race-high 286 laps while Aric Almirola, Clint Bowyer and Kurt Busch were poised to deliver SHR a 1-2-3-4 finish. The quartet had over four seconds on the rest of the field. But in an instant, the excellence of Ford’s top team got erased by a series of errors. A lugnut came flying during Harvick’s final green-flag pit stop and broke a valve stem on the left-rear tire. That forced a second stop that killed a performance so great, at one point Harvick had a 10-second lead on the field. He wound up sixth. That seemed to hand the win to teammate Aric Almirola. Seeking his first victory in four years the No. 10 Ford darted out to about a one-second lead over Kurt Busch in the closing laps. 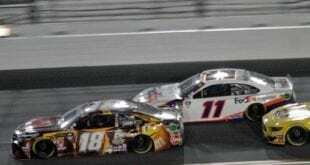 But that’s when Bowyer’s bad luck struck, ending his race and opening the door for Almirola to exit the lead, stage right. Bowyer made an unscheduled stop for what looked to be a broken track bar mount. Moments later, he was babying his wounded car to the finish when a tire blew and sent his No. 14 Ford hard into the outside wall. Almirola and Busch then chose to pit while winner Chase Elliott stayed out. 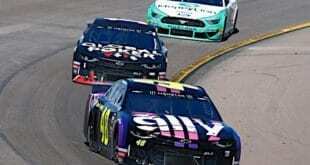 That left them back in traffic, pushing the issue on the restart and Almirola ultimately lost control. 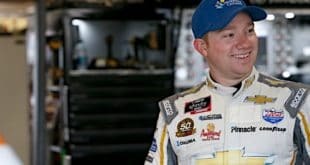 His resulting wreck took perhaps the biggest Cinderella story remaining in the NASCAR playoffs and smashed that glass slipper right to the ground. Alex Bowman, Brad Keselowski and Martin Truex Jr. proved to be innocent victims. All of a sudden, a race that was calmly playing into SHR’s hands crumbled to pieces. Kurt Busch in fifth was the best result for what should have been the organization’s crowning achievement for 2018. Chevrolet, which has been playing second fiddle to Ford all season, got an automatic bid instead as Elliott seized control of the race. Prior to the season beginning at Daytona in February, Christopher Bell was on the top of many people’s radars for winning the championship. Now, with just four races remaining in the regular season, the No. 20 team is likely the one to beat. Bell picked up his sixth victory of the season on Saturday (Oct. 6) at Dover, the most wins in a single season for an XFINITY rookie. 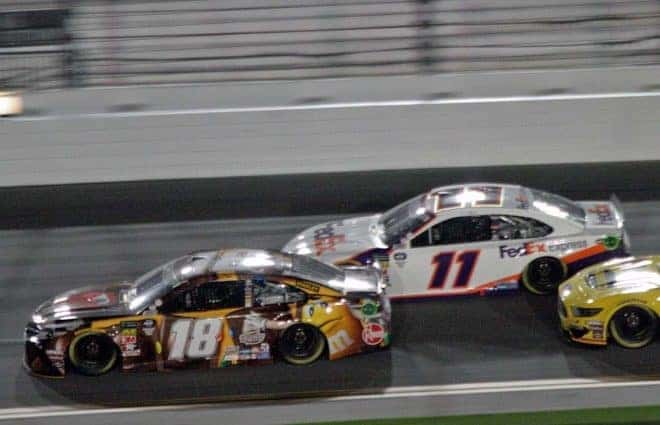 Prior to the event, he was tied with three current and past superstars of the sport: Kyle Busch, Carl Edwards and Greg Biffle. The No. 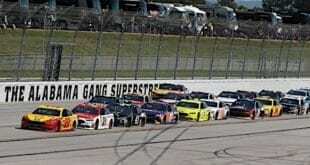 20 car dominated the event, leading a race-high 110 laps. picking up six playoff points. Cole Custer finished second, while Justin Allgaier, Ryan Preece and Spencer Gallagher rounded out the top five. 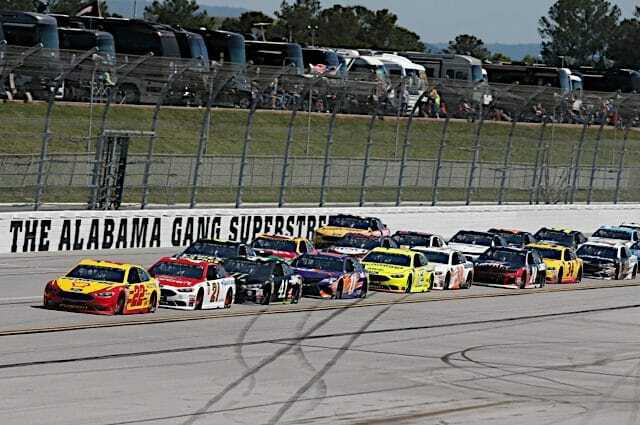 After taking a few weeks off, the Truck Series is back in action at Talladega Superspeedway this weekend. With victories at Canadian Tire Motorsports Park and Las Vegas Motor Speedway, reapectively, Justin Haley and Grant Enfinger can breathe a sigh of relief. Meanwhile, the rest of the playoff drivers will attempt to survive the inevitable carnage in the cutoff race to set the Round of 6. 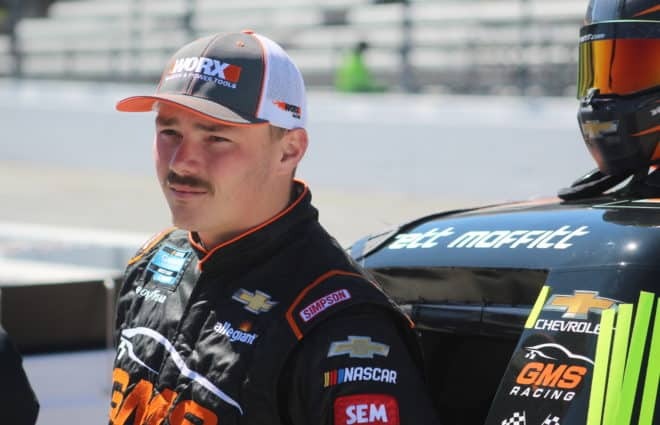 As far as the remaining six drivers looking to keep their championship hopes alive, Johnny Sauter has the best positioning with a 40-point cushion over Been Rhodes, who currently sits seventh. Stewart Friesen also finds himself on the outside looking in. Last week, Tequila Patron ESM’s Johannes van Overbeek announced that he will retire from sports car racing following next weekend’s Motul Petit Le Mans at Road Atlanta. The 45-year old veteran has competed with Tequila Patron ESM since 2010 and in endurance racing since 1999. Van Overbeek has had a good final season of racing, claiming two overall victories. 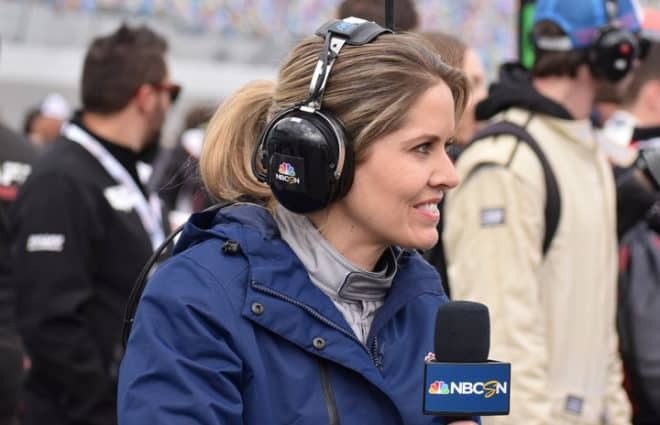 One was a sprint race at Road America with teammate Pipo Derani, while the other was in the Mobil 1 12 Hours of Sebring with Derani and Nicolas Lapierre. However, he was forced to sit out Canadian Tire Motorsports Park due to a lack of spare parts forcing Tequila Patron ESM to cut back to one car for that weekend. As a result, van Overbeek enters the final race of the season 12th in Prototype points. 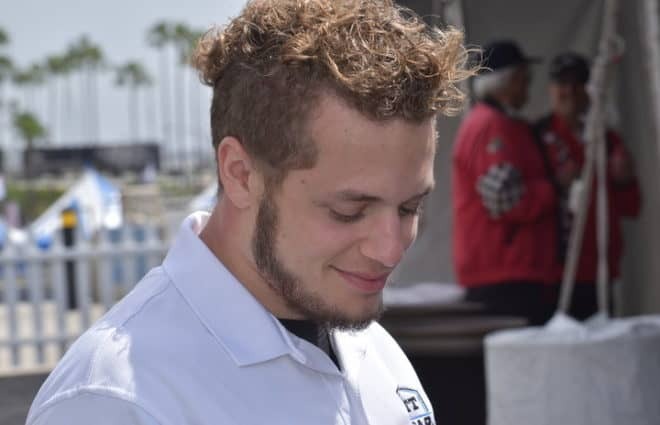 Van Overbeek’s professional career dates back to 1997, when he first broke into the lower levels of what is now known as Pirelli World Challenge. He made his American endurance racing debut in 1999 with PTG in the American Le Mans Series’ GT class, earning his first class win at Road Atlanta in a BMW M3. He spent most of his career in GT equipment, winning races for Flying Lizard Motorsports in their Porsches before moving to Extreme Speed Motorsports to drive their Ferrari 458 Italia. In Australia, Sunday was the biggest race day of the year as the Virgin Australia Supercars Championship raced for 1000 kilometers on the 3.858-mile Mount Panorama Circuit in Bathurst. For much of the race, multi-time winner Craig Lowndes and teammate Steven Richards were down the order a bit while Erebus Motorsport’s David Reynolds and Luke Youlden dominated from pole. Reynolds and Youlden appeared to be in position to defend their victory from last year when Reynolds developed a leg cramp late in the race. That allowed Lowndes to run down Reynolds and make the pass for the win with 26 laps to go. From there, Lowndes was able to open up a healthy advantage and held on to take his seventh victory at Bathurst. For Richards, whose father Jim also has seven Bathurst 1000 victories, it is his fifth Bathurst victory. Also of note, in a series in which younger drivers often take the spoils, two of the three oldest drivers in the field won on Sunday. Richards was the oldest driver in the field at 46, while Lowndes is 44. Sebastian Vettel put together a stellar drive at the Japanese Grand Prix (Oct. 7). After contact with Max Verstappen caused him to spin and fall to 19th, Vettel tore through the field to a finishing position of sixth. For most driverʻs, thatʻd be a good day. For Vettel, itʻs not enough. What once was a back-and-forth championship battle between Vettel and Lewis Hamilton has become increasingly one-sided since the summer break with the Hamilton continuing to increase his lead. The battle between the two looked to be the story of the season as it signaled a return to the front for Ferrari. Finally, a serious challenge had been made to the Mercedes mastery of the series. All of that early-season momentum has vanished. Padding the lead was the name of the game in Texas as three of the Mello Yello class points leaders collected wins at the AAA Texas NHRA Fall Nationals. Steve Torrence continues to lead the way in Top Fuel, taking down challenger Terry McMillen in the finals to score his first win in his hometown race. Torrence has now swept the first three Countdown races and has won eight total races on the season. He made a pass at 3.786 seconds at 325.92 mph to best McMillen’s 3.826 seconds at 321.04 mph. Torrence also beat Bill Litton, Blake Alexander, and Tony Schumacher in earlier rounds. Two weeks after breaking his collar bone in a final round crash in St. Louis, Robert Hight roared back in Texas, facing off against points rival J.R. Todd in the finals. Hight ran 3.955 seconds at 325.69 mph to beat Todd’s 3.984 seconds at 319.52 mph. Hight now holds a 50 point advantage over Todd in the Countdown standings. Hight also got by Jim Campbell, Tim Wilkerson, and Bob Tasca III en route to the finals. Pro Stock’s Tanner Gray also asserted his dominance, winning his second consecutive race by running 6.622 seconds at 207.62 mph to beat No. 1 qualifier Jeg Coughlin Jr.’s 6.636 seconds at 207.82 mph. Gray also beat Deric Kramer, Greg Anderson, and Matt Hartford on his way to the final round matchup with Coughlin. He continues to lead the Pro Stock points, extending his margin to 89 points over second place Vincent Nobile. Pro Stock Motorcycle came down to a battle of teammates, with White Alligator Racing’s LE Tonglet facing off against Jerry Savoie. This one went to Tonglet, with a 6.892 second, 194.80 mph run over Savoie’s 6.907 seconds at 193.88 mph. The win also propelled Tonglet to the class points lead, with a margin of 47 points over second place Eddie Krawiec. Eric said he has been watching a lot of film, he should have skipped the Danica ones. Eric restarted 6th, first driver with four new tires and he overdrove it into the wall and then ruined Brads day too. Choke. Almirola said afterwards. “I don’t know. I’m frustrated and mad and angry.” Dude, you were the guy who did it.